The Spark Jacket is a minimalist stretch waterproof jacket designed primarily as a fast-and-light climbing or adventure racing piece. This revised version of Rab's highly successful Spark Jacket is now even lighter, and offers a number of new features which make the Spark Jacket the go-to waterproof for high-intensity activities in harsh, wet environments. 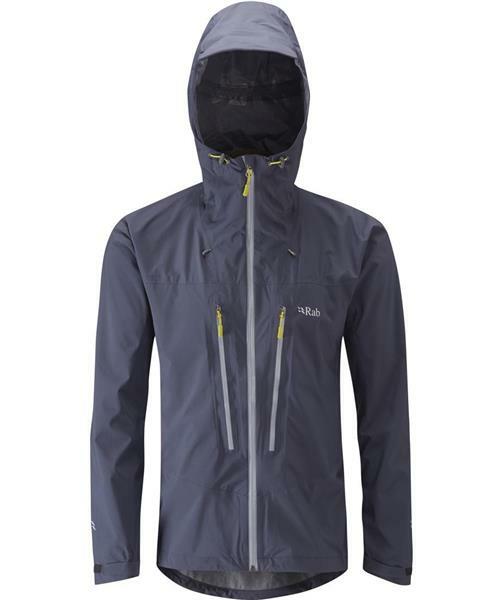 With an updated helmet-compatible hood design, an updated chest pocket design including part-mesh chest pockets with rain drains and a reflective detailing to further lend this jacket to adventure racing in the winter months. The Spark Jacket is designed in a regular fit to allow high levels of freedom of movement and to allow a baselayer to be comfortably worn underneath.